At Custer Resorts, we don’t believe in the same old meeting experience, and we have a feeling you aren’t looking for one. Retreats should be a break from the daily grind and the four walls of your company’s building—and there should be a little “treat” in them. Here, you can take time to enjoy the view. Meetings focus on slowing-down and being present. Our non-traditional setting encourages spending time together and gets you away from the daily hustle—but not too far away. We do have Wi-Fi, cell service, and modern accommodations. Take time to watch the baby wildlife in May or see the fall foliage in all its autumnal splendor. Your group will leave feeling rested and re-energized to tackle their next big project. Summer is our highest-demand tourist season. In order to really focus your team and enjoy all the park has to offer, we encourage you to book in the shoulder season of Spring and Fall. It will give you more options for dates and flexibility in selecting your accommodations. The State Game Lodge, listed on the National Register of Historic Places, offers lodging facilities ranging from historic rooms used by President Coolidge and President Dwight D. Eisenhower to rustic cabins and creekside homes. The property includes three meeting facilities, plus the ability to meet all of your food and beverage needs. Both meeting rooms at Creekside Lodge and the Game Lodge Pavilion have a built-in sound system with auxiliary sound system input. One wireless microphone is included in room rental. Free Wi-Fi. 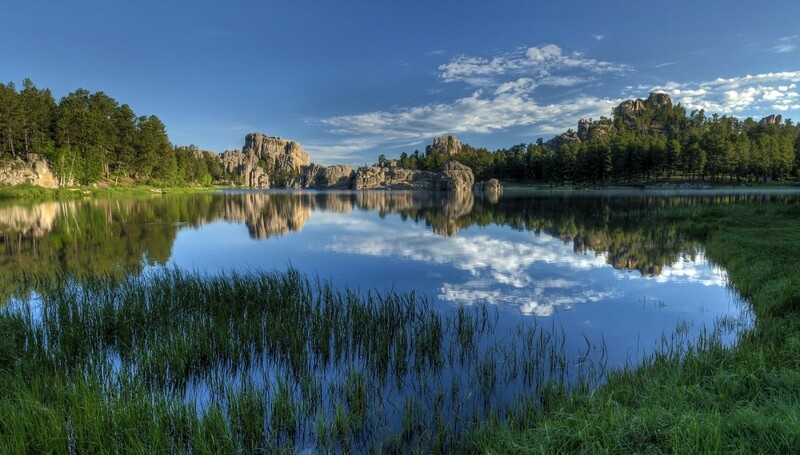 Sylvan Lake Lodge, overlooking Sylvan Lake and the granite outcroppings of Harney Peak, offers breathtaking views from cozy lodge rooms and rustic cabins. The property includes two meeting room facilities, plus the ability to meet all of your food and beverage needs. Built-in sound system in the auditorium with Bose Auxiliary sound system input. One wireless microphone is included in room rental. Free Wi-Fi. Blue Bell Lodge is a hideaway retreat with a western guest ranch flavor and offers handcrafted log cabins peacefully tucked away in the pines. One meeting facility in the lodge, along with the White Buffalo Banquet Room, offers everything you will need for a successful event. Built-in sound system in White Buffalo Room with auxiliary sound system input. One wireless microphone is included in room rental. Free Wi-Fi. Legion Lake Lodge is a lakeside lodge with cabins nestled in the pines, with swimming, fishing and paddle-boating. The outdoor deck is a great space for an afternoon break or a casual lunch. Create excitement for your socials and dinners by meeting on the lawn of the State Game Lodge, the "Summer White House" for Presidents Coolidge and Eisenhower. If you prefer a taste of the Old West, there's a hayride that will take you to a western chuck wagon cookout. Need a break in your meeting schedule? Take an exciting Buffalo Safari Jeep Ride into the backcountry of Custer State Park or saddle up for a trail ride and a hopeful encounter with a band of bighorn sheep or herd of majestic elk. 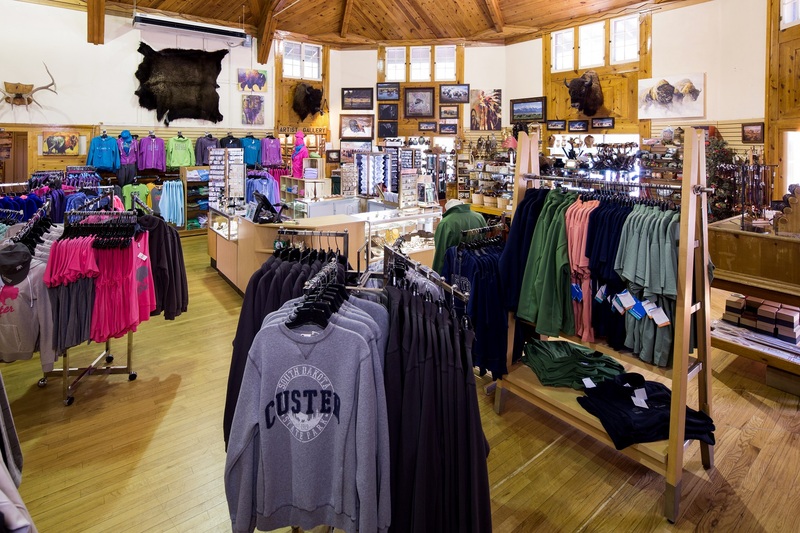 71,000 acres of natural beauty and adventure await your group at Custer State Park Resort. Contact us online or at 605-255-4772 to start planning your event. We have crafted innovative, Black-Hills-inspired teambuilding activities that will ensure your meeting is the one that makes the greatest impression. Compass Orienteering: You Mean I Can't Google It? 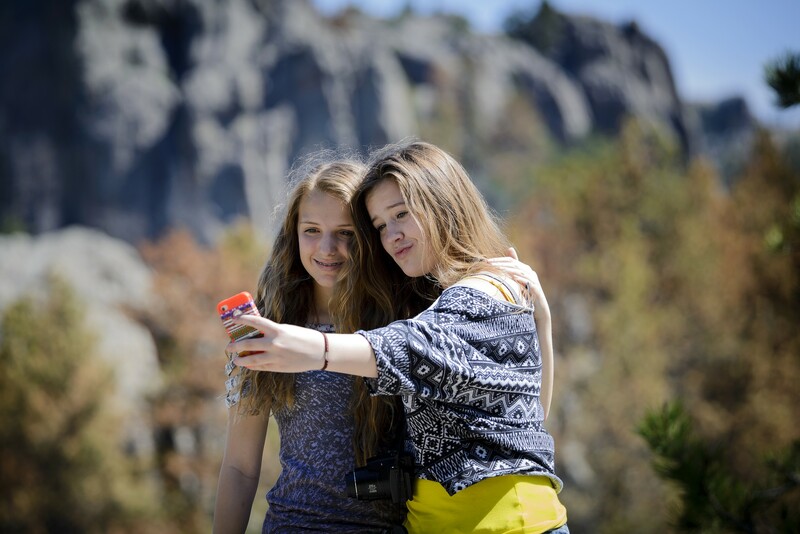 Custer State Park prides itself in being a nature preserve, and with that, we encourage a little time away from our mobile devices. This program strips us of today's technology and forces your group to remember how things were... building your teamwork skills by going back to basics with just a map and a compass. Because in the end, we still love our gadgets. This program focuses on a beginner's use of the GPS unit to navigate to nine waypoints, each designated by a question about the park. A great opportunity to encourage some friendly competition, this adventure gets everyone on foot and involved. Teambuilding activities are available May 1–June 15 and August 15–October 31. Please inquire today with our Sales Office at 605-255-4672 if you are interested as activity coordinator schedules book well in advance!